If you ask a casual viewer to describe The Doctor, there's a good chance the Fourth Doctor would be chosen. With his mop of curly brown hair, broad toothy grin and his slightly scruffy outlandish attire, with was exaggerated by his incredibly long multicoloured trailing scarf, floppy wide brimmed hat, virtually bottomless pockets - a potentially not untrue fact, given the Tenth Doctor’s comment about the pockets being just as dimensionally transcendental as the TARDIS itself - and a burgundy baggy jacket the Fourth Doctor was the most visually imposing of them all. His debut scene, just after his regeneration, is very reminiscent to Jon Pertwee's as he was seen wandering around in a nightshirt looking for his TARDIS. He even found the TARDIS key hidden in his shoe! But despite this similarity the Fourth Doctor was very different from his predecessors even though he possessed many characteristics from his former incarnations, most notably his second incarnation’s habit of making jokes and acting the fool to put his foes off-guard. At times he seemed to be unreliable and with his wide eyed penetrating stare those around him did not know at times if they could trust him or not. He had a strange mixture of contradictory qualities and he had a tendency to be very spontaneous with a bubbling eccentric vitality, rapidly shifting between casually commenting that Morbius wasn’t all there any more - Morbius having been reduced to a brain when he was nearly executed - before coldly challenging him to a mind-wrestling contest ("The Brain of Morbius"). He could be very cold, impersonal and rather aloof and then a moment later he would be brimming with enthusiasm for life. He had a brilliant scientific mind and he liked to demonstrate his enormous wealth of knowledge and past experiences. But at the same time he could be humorous and act like a buffoon and his basic approach to a new situation would be to walk boldly into them and say with abroad grin 'Hello, I'm The Doctor'. This habit of undermining his enemies by acting nonchalant when facing them persisted throughout his incarnations; even when facing such foes as a demonic life-form that sought to unleash a destructive force of chaos upon the universe ("Heart of TARDIS"), The Doctor simply casually pointed out the flaws in its plan. His whimsical sense of humour and unpredictability meant that you could never tell when he would suddenly whip out of his pocket a bag of Jelly Babies or his yo-yo. He had more of an alien detachment and this was perfectly demonstrated during an attempted return, in the TARDIS, to UNIT when his companion, Sarah Jane Smith, chastises him for his pensive mood and that he should be happy about returning home. His reply to her was 'The Earth isn't my home, Sarah. I'm a Time Lord… You don't understand the implications. I'm not a Human being. I walk in eternity' ("Pyramids of Mars"). Despite his occasionally detached attitude, he seemed to sympathise with humanity more than he had in past incarnations, praising humanity’s indomitability in "The Ark in Space", and seeming almost reluctant when he told the mutating Professor Sorenson that death was the only ‘cure’ for his condition ("Planet of Evil"); indeed, it was this incarnation that first specifically stated that Earth was his favourite planet and humanity his favourite species, no matter how he might find their minds limited at times. His consistently ‘larger-than-life’ attitude towards his adventures makes it somewhat apt that it was this Doctor rather than any other that was selected to acquire the powerful artefact known as the Key To Time to restore order to the universe, pitting him against The Black Guardian of the universe itself. Even when he finally came face-to-face with this powerful foe, The Doctor remained casual when confronting him, nonchalantly informing The Black Guardian - after he tried to acquire the Key to Time by posing as his White counterpart - that it would be a shame to doom the universe because he was colour-blind, with only the installation of a randomiser - a device that fed random co-ordinates into the TARDIS, thus making it impossible for The Black Guardian to track the ship - serving as a sign of how seriously he took The Black Guardian’s threat to find him. On another occasion The Doctor spent some time in the parallel universe of E-space - a counterpart to our own reality where coordinates were negative and space was slightly smaller - granting him a unique opportunity to explore and help a universe other than his own for the first time ("Full Circle", "State of Decay", "Warrior’s Gate"), although he still sought to return to his own universe due to his recognition of his responsibilities in that reality. As with all Doctors, he was never cruel or cowardly, and when required he had a lot of warmth and charm. The Doctor was ready to risk his life for a worthy cause especially against tyranny and oppression and he would never give in however overwhelming the odds were stacked against him; shortly after his regeneration he rapidly disarmed a computer set to fire nuclear missiles all over the world in under half a minute, casually talking as he entered the codes seemingly by chance ("Robot"), and even standing up to such powerful foes as the god-like Sutekh ("Pyramids of Mars") and Valdemar ("Tomb of Valdemar ") despite the overwhelming power his opponents could use against him. He believed in good and was always ready to fight evil but he would always attempt to defeat his enemies and approach problems with contemplation and diplomacy rather than using physical action which made him seem a bit detached. His character did however, change over time and he did become more physical in his approach so making Harry Sullivan’s character virtually redundant. His more violent enemies and his increased aggression was first demonstrated during "The Sontaran Experiment" when The Doctor challenges Field Marshal Styre to an unarmed combat so as to distract him so allowing Harry to sabotage the Sontaran's space ship. However, his violent confrontations became even more intense during latter stories. In "The Seeds of Doom" The Doctor is seen breaking a chair over the head of one of his adversaries and he was even seen wielding a conventional gun; even the Third Doctor had only ever wielded energy weapons rather than weapons that fired bullets. Also in "The Deadly Assassin" he is again seen in hand-to-hand combat, fighting the renegade Chancellor Goth, who was currently allied with The Master. However, his taste for hand-to-hand waned in later stories, with most physical danger being defeated by the warrior Leela and K9’s nose laser, although he retained sharp enough reflexes to outdraw genetically engineered sharpshooter Redfearn despite only being armed with his scarf ("Tomb of Valdemar"). Throughout his life, the only constant thing about The Doctor’s personality was that he would never be consistent throughout his adventures; although jovial throughout the events of "Nightmare of Eden", when he learned that a scientist was trading in a dangerous drug, he refused to even look at the man when he tried to justify his actions, and cheerfully describing Scorby as a ‘mindless plant’ in "The Seeds of Doom" despite his sombre attitude for most of the adventure in question. The Fourth Doctor had twelve different companions, some of the most that has ever been possessed by a Doctor. (Not counting those occasions where Doctors have briefly encountered old companions without their old friends actually resuming travelling with them). Of these K9 was the first mechanical companion and Leela was the first "alien" since The Doctor's very first companion, Susan. The Doctor was very protective towards his companions especially Sarah Jane Smith. Even though Sarah thought that she could stand up for herself The Doctor soon realised that she needed a bit of protection. And The Doctor in his own way was able to protect and comfort her 'The worse the situation, the worse your jokes get' she commented once. Regardless of the occasional tension between them, when Sarah later met the Tenth Doctor some years after her departure, she implied that she had fallen in love with the Fourth, but recognised that nothing could ever come of it even as she found it hard to move on after leaving him; in her own words, ‘There was only ever one man for me, and after him... nothing compared’. After Sarah Jane Smith left, due to The Doctor having to return to his home planet and humans currently being forbidden to travel there, there was one story in which The Doctor had no companions at all (Done on Tom Baker’s request to give him a chance to stand on his own in the series). However, this was soon rectified when he was joined in the TARDIS by Leela, a leather-clad savage who lived on a planet where society’s development had been manipulated by an insane supercomputer that The Doctor had unintentionally created. Leela’s character led to more violent confrontations against some of the monsters and villains The Doctor faced, as her savage upbringing made her have a tendency to kill first and then ask questions later. Despite his attempts to civilise Leela, The Doctor soon realised that he was fighting a losing battle, which was very frustrating for him as he continually observed her tendency and preference to kill. Despite this, however, the two of them became close, with The Doctor aware that he could always rely on Leela to help him when he needed it - even coming to enjoy teasing her about her more limited knowledge - and acknowledging the benefits of her instinctive attitude when it allowed him to develop a cure for the sentient virus known as the Swarm ("The Invisible Enemy"). 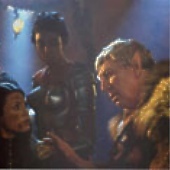 Despite their different backgrounds Leela’s loyalty to The Doctor was unquestionable, to the extent that The Doctor was once forced to banish her from his company when dealing with a race of telepaths, as they might have sensed her devotion to him and realised that he was lying to them ("The Invasion of Time"). During this time a great deal more about the Time Lords was revealed and he had two visits to his home planet Gallifrey. The first was when he received a message calling him back but it turned out that this was a trick by The Master who wanted to involve The Doctor in an assassination plot on the president. Falling into The Master's trap The Doctor soon finds himself implicated by The Master and so inside the Matrix in an attempt to not only prove his innocence but to also discover who the real villain is. His second visit was caused by his attempt to defeat the Vardans by aiding in their invasion - thus stopping a less scrupulous Time Lord from helping them - but in doing so he not only became the Lord President of the Time Lords - resulting in him gaining temporary access to the Matrix itself, the source of all Time Lord knowledge - but he also accidentally allowed a Sontaran invasion force to penetrate Gallifrey's defences. Having defeated the Sontarans and departed - leaving Leela and K9 on the planet, although he later built a second K9 for company, - The Doctor was subsequently joined in his travels by the young Time Lady Romanadvoratrelundar, known as Romana for simplicity’s sake, who provided a unique foil for The Doctor in being one of the few companions who could at least equal The Doctor in several areas (It was sometimes hinted that she could actually surpass him in some fields, although his independent personality still put him at an advantage in their adventures). 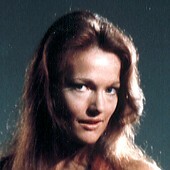 Although initially typically arrogant and convinced of her importance in the grand scheme of things, Romana’s time with The Doctor caused her to change and grow, leading to her regenerating after the search for the Key to Time was completed to reflect how she had become a new person in his company. Despite the two forming a strong bond over the course of their travels together, Romana eventually recognised that she needed to strike out on her own, carving her own path away from the rest of Gallifreyian civilisation, resulting in her leaving The Doctor to remain in the ‘alternate universe’ of E-Space ("Warrior’s Gate"). Nearer to the end of the Fourth Doctor's era he was, at times, more sombre and brooding, an attitude that was far from helped by such confrontations as his battle with The Repulsion (During which he was briefly convinced that he was going to be forced to sacrifice his life to save the day) ("Festival of Death"), or his confrontations with the amoral scientists Doctor Paddox ("Festival of Death"), Dexter ("Full Circle") and Captain Rorvik ("Warrior’s Gate"), each of whom experimented on more primitive species for their own ends. His costume had also become darker and more subdued, perhaps a hint that he was aware that his death was coming soon, and that his attitude towards life reflected his desire to cram as many experiences into his too-short long life as he could. His fourth regeneration was caused while trying to foil The Master's latest attempt to rule over the universe, resulting in The Doctor falling from a deep space radio dish when he tried to transmit a signal that would drain away the entropy threatening the universe. Luckily for The Doctor this event had already been prepared for when his companions witnessed a mysterious being, who had been following them around, called the Watcher merge with the dying Fourth Doctor just as he starts to regenerate into the much younger looking Fifth Doctor. 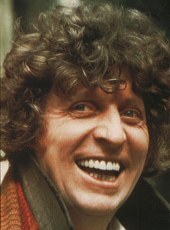 Tom Baker was born in 1934 and he grew up in a devout Roman Catholic family in a poverty stricken part of Liverpool. Due to his religious upbringing he decided to become a priest and so at the age of fifteen he joined a monastery on the island of Jersey before moving to another monastery in Shropshire. After five years he became less certain of his choice of vocation and he eventually decided it was not for him and so he denounced his vows and returned home. Almost immediately he was called up to do two years National Service where he was posted to the Royal Army Medical Corps and it was during this time in the Army that he realised that he had a talent for acting. On leaving National Service Tom decided to follow his father who was a Merchant Navy Seaman. However, he soon grew tired of this and he decided to pursue his desire to become an actor by joining the Rose Bruford College of Speech and Drama in Sidcup, Kent for three years. After leaving drama school Tom worked in various repertory theatres including York Repertory Theatre and the National Theatre Company where he stayed for over two years. He was also invited to go to the Bristol Old Vic where he met and was encouraged by Laurence Olivier. It was during this period that he became an experienced actor and he appeared in a number of films including: The Winter's Tale in 1966 and Cantebury Tales in 1971. His television debut came in 1968 when he played a part in an episode of The Dixon of Dock Green. Other early television appearances include: Softly, Softly: Task Force in 1970 and The Millionairess in 1973. However, it was his chance meeting with Laurence Olivier which helped him secure the part of the mad monk Rasputin in the 1971 film Nicholas and Alexandra. This film received excellent reviews which led to Tom being offered more parts in films and television including the 1973 films Vault of Horror and The Golden Voyage of Sinbad in which he played the part of the evil magician, Prince Loura. However, by 1973 work slowly dried up and so Tom was forced to seek employment elsewhere so as to earn a living. This included a job of a builder's labourer and it was while he was working on a builders site at Ebury Street in London that he was offered, by Barry Letts the then producer of Doctor Who, to become the Fourth Doctor. 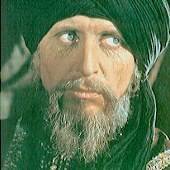 Barry Letts had been looking for some time at a number of actors to replace Jon Pertwee, including ex-Goon Michael Bentine, but Tom Baker was finally chosen due to his performance in The Golden Voyage of Sinbad. Like Jon Pertwee before him Tom played the part very much as himself and he did many of his own stunts. Tom played the part of The Doctor for seven years, from "Robot" in 1974 to "Logopolis" in 1981, and he has to date been the longest in the part. During his time in the show merchandising, publicity, exhibitions and conventions were just starting to become more important and so Tom was more involved than any other Doctor before him in this aspect of the show. He provided his voice in the 1979 LP version of "Genesis of the Daleks" which was a mixture of Tom narration and sound clips from the television story and in 1976 he used his vocal talents again in Argo Records audio adventure "Doctor Who and the Pescatons". This was a completely new story in which he was accompanied by Elisabeth Sladen playing his companion Sarah Jane Smith. He also starred, again with Elisabeth Sladen, in the 1976 schools education programme "Exploration Earth: The Time Machine". Another of his companions, Lalla Ward who played the second incarnation of Romana, also became his wife in real life and it was just before he left Doctor Who that it was announced that they were to get married. However, they soon realised that they had made a mistake and so after just 16 months they parted company. Tom Baker's reason for leaving Doctor Who was mainly due to the number of changes that he had witnessed during his seven years in the show. Having done 178 episodes and having 4 very different producers he felt that there was nothing more that he could give to the part and he was ready for a new challenge. After Leaving Doctor Who he deliberately distanced himself and vowed that he would have nothing more to do with the show. He was so determined to stick to this that he declined numerous attempts by John Nathan-Turner, the then producer, to return and take part in the 20th anniversary story "The Five Doctors" in 1983. He was though included but this was done by using footage that had been obtained in the aborted Season Seventeen story "Shada". To be able to break away from Doctor Who completely he even dramatically changed his appearance by cutting short his famous curly locks and by wearing glasses. He also married again. After Doctor Who he was to be seen in a wide variation of parts on stage, in films and on television. Theatre work included: Educating Rita in 1982, She Stoops to Conquer in 1984, The Doctor's Dilemma also in 1984 and An Inspector Calls in 1987. However, he mainly concentrated on television work. He played the part of Sherlock Holmes in the BBC's 1982 production of Sir Arthur Conan-Doyle's Hound of the Baskervilles and he was also in the 1984 television movie The Zany Adventures of Robin Hood. Other television roles included Life and Loves of a She Devil in 1986, Blackadder II in an episode called "Potato" also in 1986, The Chronicles of Narnia in 1990 and Cludeo in 1992. His most famous role though since leaving Doctor Who was in Granada Television's Medics which ran from 1992 - 1995. His most recent work was in the BBC production of Randall & Hopkirk (deceased) which was broadcast in March 2000. He is also in the film Dungeons and Dragons: The Movie, playing the part of Hallvarth the Clan Leader of the Hunter Elves, which is due to be released Winter 2000. Despite breaking all ties with Doctor Who Tom has returned to the show for various specials. The first of these was for the Reeeltime Pictures interview tape "Myth Makers 17: Tom Baker - The Fourth Doctor". It was released in 1989 and has Tom talking about his time in Doctor Who. In 1992 he presented two special BBC video releases. The first of these was to provide the narration of the missing footage from the incomplete "Shada" and the second was in "The Tom Baker Years" where he provides anecdotes of his time in Doctor Who while watching various short excerpts from each story. Tom has also provided narrations on three of the BBC Audio Collection's Missing Stories: "The Evil of the Daleks" in 1992 and "The Power of the Daleks" and "Fury From the Deep" both released in 1993. Then in 1993 he returned to television proper as the Fourth Doctor when he took part in the two part Children in Need special "Dimensions in Time" where he supplied the introductions to both episodes. 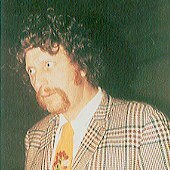 Reeeltime Pictures then released, in 1997, a second interview tape Who on Earth is Tom Baker? which was more of a personal look at his life in general. Who on Earth is Tom Baker? was also released as a book and it became a best seller. 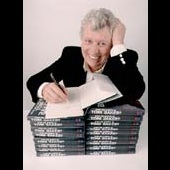 Tom also has put pen to paper in a novel and his latest book, which was released in 1999, is The Boy who Kicked Pigs. He returned again to host BBC2's Dr Who Evening broadcast in November 1999 and then on the 18 March 2000, to coincide with the BBC production of Randall & Hopkirk (deceased), he was the guest of honour on This Is Your Life: Tom Baker. Tom Baker was the most mysterious of all the actors to have played The Doctor. As well as being very outgoing he was also intensely private especially in respect of his private life. Tom's contribution to Doctor Who gave the show one of its greatest boosts and his enormous contribution both in the show and during publicity events allowed the show to continue in the 1980's with a very bright and vibrant future. Being the longest incarnation of The Doctor there were many more and varied adversaries he had to face. These have included: The Wirm, Sontarans (who appeared twice), the Cybermen, Zygons, Sutekh, Kraals, a Rutan, The Fendahl, Scaroth, the Foamasi and The Great Vampire. However, the Fourth Doctor's most memorable foes were of course the Daleks but also a number renegades from his own race. The Doctor's two confrontations with the Daleks were not memorable just because of the Daleks but more because the first story introduced the Dalek's creator, Davros. Davros was an evil scientist who, in attempting to prolong the life of his race the Kaleds, created the ultimate form his race would mutate into, The Daleks. The Doctor was tasked by the Time Lords to alter or prevent this from occurring. As to the first renegade Time Lords the first one he met was Morbius, who had been supposedly destroyed by the Time Lords for his crimes. But when The Doctor visits the planet Karn he finds that the evil scientist Solon is engaged in returning Morbius's brain into a patchwork body. Another renegade Time Lord, who had made his debut during the Third Doctor's era, of course is the The Master. This time The Doctor has to face him in three separate stories where he is desperately trying to extend his life beyond his natural number of regenerations. The Master finally succeeds but it costs the life of the father of one of The Doctor's future companions, Nyssa. However, worse is still to come as it is The Master's actions, in their third and final confrontation, which causes The Doctor to regenerate. For me there are two memorable moments during the Fourth Doctor's era, apart from the introduction of the leather clad companion, Leela. Can The Doctor destroy the birth of the Daleks? But if I kill. Wipe out a whole intelligent life form, then I become like them. I'd be no better than the Daleks.' But even as Sarah tries to persuade him to carry out his duty for the Time Lords you can really see The Doctor's anguish. The other moment has to be the final scene, in "Logopolis", leading to The Doctor's regeneration. In his attempt to defeat The Master, who had tricked The Doctor, events for The Doctor led him to be in the precarious position high up on a walkway of deep space radio dish. As the dish is repositioned by The Master this walkway slowly becomes vertical and so The Doctor is eventually left hanging onto a girder. After his hands finally slip and he falls the next scene has him on the ground with his companions crowding around him as he starts to regenerate being taunted by his past enemies.